In Michigan, many culinary art students that were of legal age were not permitted to have alcohol on campus because of a law that prohibited the substance from being on state-owned property. That is now changing, however, thanks to a law that was signed into effect by Governor Rick Snyder. 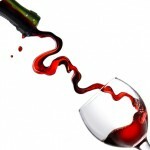 Under the old law, even a wine with dinner event or any culinary art display had to be void of any type of alcohol. This isn’t a realistic setting in the real0world of culinary arts, however, and some people wanted to see this law changed for the sake of education. The new law lets culinary arts schools serve alcohol on campus as long as the event at which it is being served is educational in nature. Most culinary art schools have serious rules when it comes to beverage mixing training involving alcohol and most only allow “tasting” if the student is over 21. Additionally, alcohol is expensive and a culinary art student out in the real-world will rarely taste a drink they mix for a patron. For these reasons, it is common practice at culinary art schools to use liquids that have the same consistency, viscosity, and color of alcohol but without the alcoholic content. In the few institutions that do use real alcohol, it is reserved for senior students studying beverage sciences as a specialty. Otherwise, it is closely guarded and under lock by the culinary arts instructor. The culinary arts schools in the state were a big part of the decision making process, according to Governor Snyder’s press secretary. She commented that they had been hearing a lot from the stat’s culinary arts programs that it was difficult to teach the art of pairing beverages with meals without this ability. Educational uses of alcohol on culinary art school campuses are limited to proper opening, presentation, and of course – cooking with spirits. A new law in Michigan allows culinary art schools to serve alcohol to guests on campus….